Nowadays, the conception of “low-carbon life” is rooted in most people’s hearts. People all over the world are trying their best to save energy, and pelleting mill is becoming increasingly popular. Pelleting mills in market have various sizes and capacities. However, to establish a pellet making plant or pellet production line is not suitable for everyone. And for many people, a portable pelleting mill is enough. The capacity of portable pelleting mill varies from 50kg/h to 400kg/h. And if you only want to make use of the enough biomass material you have, or if you just want to make your own biomass pellets for heating and warming in winter, which is much cheaper than buying from others, then, a portable pellet making machine is a good choice for you. 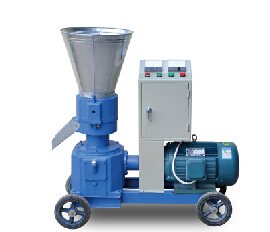 You can choose the proper capacity of portable pellet mill based on your willing and needs. Besides, pellet making machines have different driving forces, such as: motor, diesel engine, gasoline engine, and PTO. If fuel is more expensive than electricity in your area, you can buy a motor-driven type. Anyway, you can have your most suitable and desirable portable pelleting press. With portable pelleting mill, you need to prepare the biomass materials in advance, such as: sawdust, straw, rice husks, peanut shell, bagasse and alfalfa etc. As for the shapes of pellets you want to make, you can decide their lengths and diameters via different models of dies with different pore diameters. The die compression ratio can be selected as per the specific material. 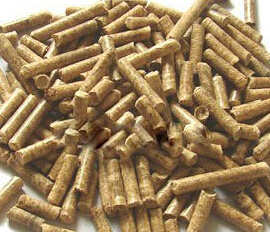 Also you can control pellets’ density by adjusting the moisture content of biomass materials. The portable pellet making machine is die-turned with the flat die. Portable pelleting press is especially suitable for home use or on your small farm, as it is very easy and convenient to move and run. It has light weight, good and delicate appearance, low noise, and long service life. With portable pelleting mill, you can definitely make desirable pellets and save money!